The article by Chaminda Jaynetti in Inside Housing (Can Labour get to grips with the housing crisis?) talks of Labour’s housing plans being bold. In our opinion they are not bold enough. Whilst Shelter speaks of the need for an annual spend of £10.7 billion on social housing Labour is committed to only £4 billion a year. This is a similar amount as was spent in 2008, taking no account of ten years of inflation. Even worse, it is not just for social housing but for “affordable ownership” as well. At the heart of Labour’s Housing Green Paper was a fundamental flaw. Instead of councils being given a duty to build council housing we were told they will be given a duty to promote “affordable housing”. Rather than abandoning this by now risible term they are proposing to redefine it, with the three types: social rent, living rent, and affordable home ownership. Under this proposal councils would be able to fulfil their duty without building a single council home. They could simply apply to Homes England for grant to build homes for “affordable ownership”. Currently Labour has no commitment to a specific number of council homes. The Shadow Housing Minister has resisted all attempts to persuade him to commit to a large scale council house building programme. Talk of “the largest council house building programme for thirty years” is empty rhetoric without a commitment to significant grant specifically for council housing. In any case the number of council homes built in England 30 years ago was a mere 16,000. At last year’s Labour Party conference delegates voted through a composite resolution which marked an advance on Labour’s policy. Firstly it called for a commitment to build 100,000 social rent homes a year as opposed to 100,000 “affordable homes” for rent and sale. Secondly, it proposed ending to right to buy rather than its suspension. 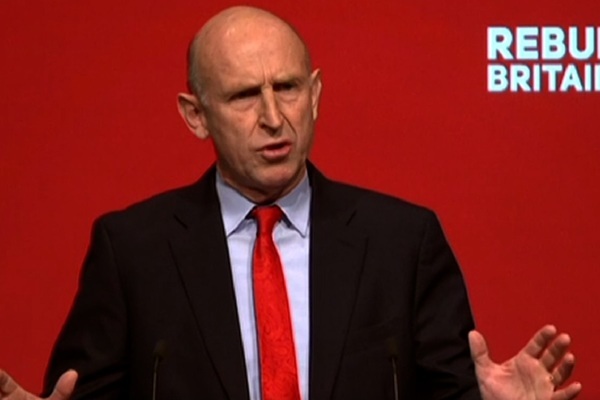 In correspondence with John Healey’s office it is clear that he is not committed to implementing conference policy. I was told that he did not envisage 100,000 social rent homes a year being achieved until Labour’s second term. Nor will they, if Mr Healey gets his way, end right to buy. This reflects a gulf between the views of the membership and supporters of the Party and the Shadow Housing Minister. Given the current miniscule scale of council house building, local authorities would not be able to immediately move to large scale building. The key question is whether or not they would be guaranteed grant on an annual basis. Without that they will not have the resources nor the personnel to plan and build on a large scale. Under Mr Healey’s proposal they would have to compete for grant with housing associations that have built on a much larger scale. In relation to so-called Living Rent I asked his office whether this would be funded inside or outside the Housing Revenue Account (HRA). The response I received was that “it was only a proposal at this stage”; one which obviously had not been thought through. If it was within the HRA what would be the point of ending “affordable rent” if you were reintroducing another version of it? Rent of 30% of local earnings might sound good in London but in some areas it would mean rents higher than social rent. If Living Rent housing was provided outside of the HRA then presumably it would be private local housing companies (LHCs) building them. For many councils the main purpose for setting up LHCs is to provide income for council general funds rather than seriously tackling the housing crisis. Of course, if Labour would commit to significant grant for council housing then there would be no need to set up LHCs, councils could simply build through the HRA. The funding crisis of council general funds can, in any case, only be resolved by increased central government funding. The irony of all this is that whilst Mr Healey refuses to commit to funding a large scale council house building programme you can read Lord Gary Porter reminding us that in the days when 300,000 homes a year were built more than 40% of them were built by councils. “We need to return to that,” he said. Of course, there is no prospect of his government funding council housing on such a scale. The only realistic prospect of achieving that is with a Labour government. For that to happen the Party needs to listen to its members and supporters and overcome the resistance of the Shadow Housing Minister. To seriously address the housing crisis we need to end right to buy and build 100,000 council homes a year. £4 billion a year, even if it all went to council housing is clearly insufficient.